The cut for the old railway to the right of the Lanark Road was fairly evident until recently. The tunnel disappeared when they widened and strengthened that part of the road. Edinburgh South re-opening proposals ! Like others I have long believed the lines should be reopened, especially with the amount of people that need to commute to The Gyle. But one problem might be that people will expect to Park& Ride and there simply facilities for that number of cars at the smaller stations? 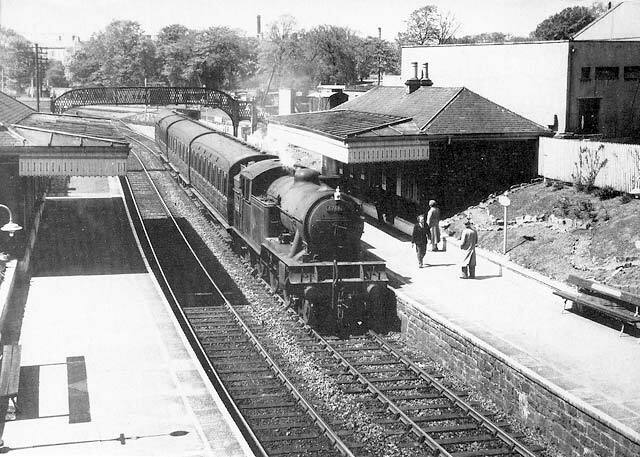 I think the building in the picture above could be the station master house that I linked to earlier in the thread. And the track was to the right of the house. Thanks very much for the map link SUTOL. I used to live in Juniper a Green and often walked the disused railway line. It's really interesting to note that the station was to the right of the traffic lights (as you pointed out) as you would just assume it would be to the left otherwise which is exactly what l thought until now! Did you see if there was a link of a similar map further east into Edinburgh? l saw some links to old maps in Wiki (sorry l dunno how to copy and paste from an iPad) of the old Edinburgh train lines but they weren't as good as the one that you posted. Lots of maps on the National Library website. Perfect that's exactly what l was looking for! Thank you so much for that, much appreciated! There was a 300 yr old anniversary of Juniper Green, l think back in 2007. My mum was involved in setting up a temporary museum in St Margaret's Court. Anyway, as it turned out she was visiting a neighbour and her son was there regaling stories of his youth. One of the more interesting ones was that when they were boys (lm assuming in the 50s/ early 60s) that they found some gunpowder by the railway line that l think they kept for the military and tried to blow up a door to a factory in Juniper. They didn't succeed but the bang was so loud that it was heard as far as Blackford Hill. It made the Evening News. The boys were never caught for their antics! Think his mum was shocked and she never knew the story until then. Lets not forget the Innocent Railway. Oh for a decent local suburban railway now! We can thank Richard Beeching for their demise. This is one of the many things that annoy me about the Tram. The clowncillors assured us their tram would be great for Edinburgh commuters. If they wanted to get traffic (cars) off the road then why not reactivate the old railway lines (or at least the ones that were left) like the haymarket to newhaven line. Now I realise that many would be up in arms at the loss of their cycle and dog walking paths but at least it would have gone where people live unlike the tram. 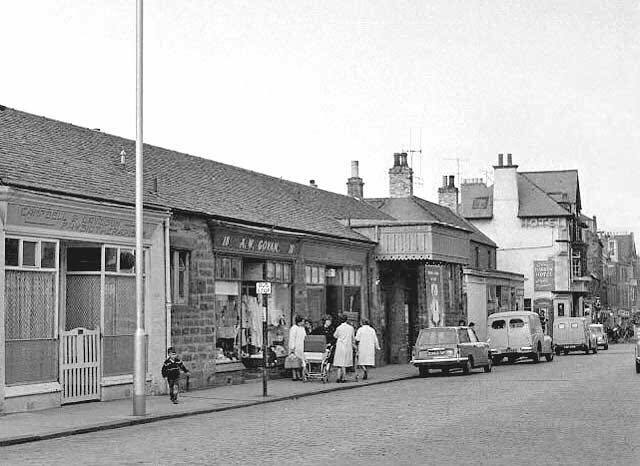 That might have been Abbeyhill Station. The line from Waverley branched off at Abbeyhill and went under the main road at Abbeyhill and ran towards Leith stopping at Easter Road Park directly behind the Dunbar end of Hibs ground. The trains heading east out of Edinburgh used to stop at Abbeyhill then Peirshill on to Portobello,Joppa,Musselburgh and the borders. When Hearts played Vale of Leithen in the SC in 1962 myself and a pal took the train from Portobello to Innerleithen iirc we stopped at Penicuik and Peebles en-route. I think that line closed shortly after that. I hope this thread grows and grows. My grandad worked on the railways 50 years, has a mine of knowledge but can’t see or hear too well nowadays. He is 103 though! He’d love this thread. Years ago a guy from the national archives came to see him and they both sat down and my grandad talked at great length about the old rail network around the city. It’s all on tape, too. I’ll ask him if he still has copies. You could be right, could be the same block of flats in this picture as in the top photo of the Easter Road ones. Is behind the bus stop. The hall is some sort of religous meeting place now. Aye - the old Merchy Hearts. Must have been flats above the shops. Aye thats the same place. That line used to run right by my grannys house, so close you couls almost touch the train. The whole house would shake and everything would rattle. There was the houses on one side, two lines and the foundry on the other. The foundry is now where Meadowbank retail park sits. I was inly a young boy but I can still remember the hooter at the foundry signalling dinner time, finishing time etc. Was that Murray Park Malting ? I dont think so. From what I can find on google it was Millers London Road Foundry. The Caley station was enormous and full of interesting shops and kiosks. When I got called up to do my National Service I left from the Caley station. My girlfriend was there to see me off. There were floods of tears and snotters as the train pulled away from the platform. That was from me ... my girlfriend was perfectly calm! On the site of what became the bus station and is now Morrisons. 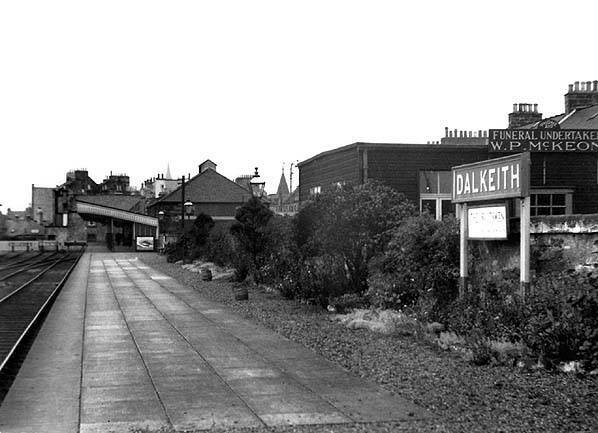 Leith Central was the largest station built in the U.K. in the 20th century - opened in 1903 and closed in 1952! Always thought the Deltic was pretty special. Not Meadowbank in Edinburgh! Never had overhead wires....,nor foreign locomotives! Quick Google search shows it is Meaadowbank, New South Wales. Thought it was a bit strange as Abbeyhill would have served Meadowbank ! Meadowbank had a temporary station during the 1986 Commonwealth Games! Just off Marionville Road, behind the stadium. How many times you crossed that bridge. A little shortcut used on many an occasion. 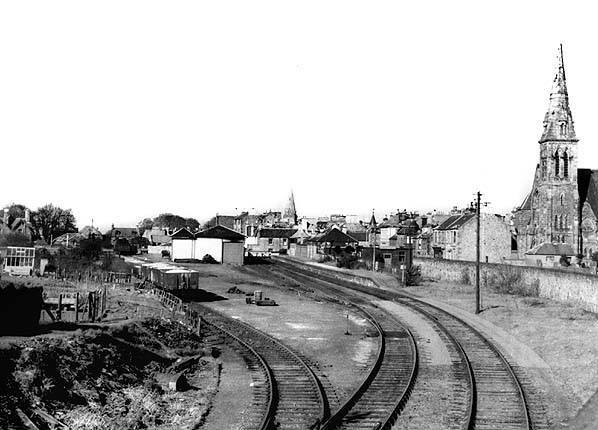 Would have been handy had that station still been in use, on staggering out of the Belhaven. I assume Leith Central was at The Foot of the Walk. Where was Leith North and Leith Citadel on today's map ? Edit - I didn't see your reply when I posted this. Many times LB! Usually heading into Balcarres Street as that is where out first flat was when we got married. Not so many times going the other way though. Can’t even remember the name of the street on the other side of the wee bridge. Can you oblige? Was it the end of Maxwell Street maybe? It's all good - nice 360 degree link there. Oh and sod waiting at a bus stop ! Sorry, was too busy trawling through pics trying to find an old image of the Belhaven Inn, sadly came up with nothing. Used to cut through there all the time and up through Millar place.